Save money. Add value. Enjoy your view. At John Barnes Window Tinting, we install Home and Residential Window Tinting that helps people on save on their energy costs, reduce glare, and protect valuable furniture and upholstery. Our architectural films are designed to enhance your views, not block them. From reflective silver to virtually unnoticeable neutral colors, we have the right film for the job. Adding protective beauty to your home with residential window tinting can actually save you money too. For home owners in all of south Florida and the surrounding communities looking for ways to save energy, windows are often one of the first things replaced. Instead of spending tens of thousands of dollars on complete replacement, many are turning to home window tinting. Window film can help you save a few bucks while making your home even more beautiful. With 99% UV protection and up to 85% heat rejection, window tinting services from John Barnes Window Tinting in south Florida and the surrounding communities are worth every cent. 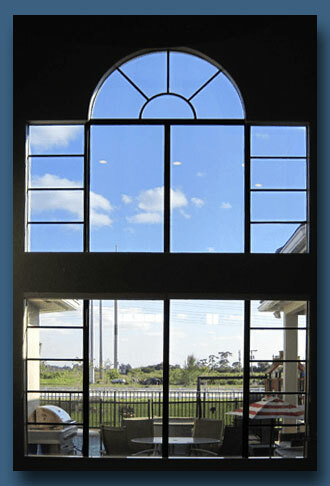 We use only the most well-designed, effective home window tinting in the industry. Today, window films are incredibly attractive, subtle, and elegant in their construction, not shiny and “tin foiled” like many people assume. We offer a wide range of choices in a variety of shades and hues. We always strive to achieve the perfect tint for your home, whether it’s in West Palm Beach or Miami. Using the correct film on impact-resistant windows and dual pane glass is critical in order to avoid stress issues. Here in the heat of South Florida, the wrong window tint on the wrong kind of glass can cause major problems. Call us for a home window tinting consultation. We use the proper guidelines for installing home window tinting. For those interested in home window tinting, hiring a licensed contractor with the correct liability insurance is essential for any work done in a private home. At John Barnes Window Tinting, we pride ourselves on our knowledge and capability of handling any residential tinting job in Florida. John Barnes is licensed & Insured, installing quality home window tinting in South Florida and the surrounding communities with a lifetime warranty for over 25 years! Interested in window tinting for your home or property? Contact us for a free estimate today.